Writing content with proper flow and zero grammar mistakes is such a toughest job in the world. But producing a flawless block of content for your website, blog and other online platforms become easy when you go with any software to resolve all of your writing issues. Today we will discuss about PaperRater proofreader and Plagiarism Detection Tool. This web platform is designed to provide a perfect solution for writers and online marketers to curate appealing, easy to understandable and unique blogs/other pieces of text. The main reason behind the popularity of PaperRater is its Artificial Intelligence and Data Science, these both advanced technologies will give you a deep analysis via completely automated proofreading within less than 15 seconds. When you add your material to the PaperRater for scanning then it will provide a complete report with the issues present in your submitted content along with the required changes. The scanning process will depend on the length of your content, this tool will give several suggestions to make your material perfect. PaperRater is very easy to use, simply copy-and-paste content in an open field. After the submission of your material you have to change the settings according to the type of content you are added for scanning. Here, you will see several options such as plagiarism checking, spelling, word use and many others to make you content more perfect. When you analyze the report provided by PaperRater then you will see helpful comments along with the report. This tool not only detects issues within your material, but it also instructs you why it’s important to modify specific points of your content. So, you can say that, at this stage paperrater works as writing aid not as a proofreading app. It also offers a grade score system works on its own metrics. While this grading system is not completely accurate, it is just for fun and motivating feature into this proofreading software. PaperRater.com is known proofreading software, it is considered to be the perfect one because you have to download, add, or do any other special thing to start using PaperRater. 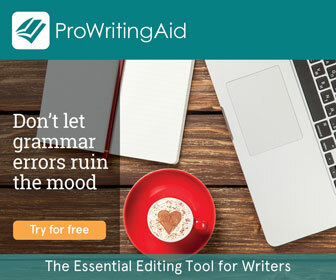 This free online proofreading tool contains a spelling check along with an advanced grammar checking software without any extra cost. 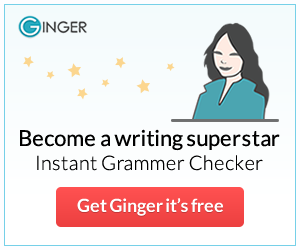 So, if you are searching for a high quality grammar checker tool without investing money then it is just what you are looking for. Plagiarism checking is the important part of making your content unique. Copy content is the rising concern for both teachers and students because papers are occasionally copied in completely by copy cat students. This feature will allow you to make your content original or check other’s content for originality. This tool contains an advanced grammar and spelling correction features that allow you to make your content grammatically correct. Via this, you can also correct the wrong spelling which will help you to get rid of silly mistakes. Other available services take minutes to scan and give results of your content. But, PaperRater packed with an automated proofreader that will give you results in seconds. And, you don’t need signup or login to access all of these features. How Much Does PaperRater Cost? I Want to Use PaperRater for Free! I like its uniqueness and easy to use option. It is completely free and safe to use. But if you want to upgrade your subscription then you have to pay. The whole subscription process is handled via a third-party SSL-certified processor. According to me, this service also needs BBB membership. Overall PaperRater is recommended for all types of user, no matter which type of business you are running (Small Business or Medium Business) or working as a freelancer this tool will help you to improve the content quality for your website as well as crating unique content.